Is there any paperwork or document for the mechanical systems of 103 Conklin Cres Cres, Aurora, Ontario? I need more information about the property at 103 Conklin Cres Cres, Aurora, Ontario. How ist the neighborhood, location and nearby amenities for 103 Conklin Cres Cres, Aurora, Ontario? I have questions about the roof, foundation, insulations and mechanical issues of 103 Conklin Cres Cres, Aurora, Ontario? I need more information about property details. What's wrong with this house? Is this a short sale? Is there any maintenance for 103 Conklin Cres Cres, Aurora, Ontario? What is this property worth in today's market? What are "closing costs", and how much? What steps should I take when looking for a home loan? What price home can I afford? Is my credit good enough to buy this house? What are the best mortgage options for me? How flexible is the seller on the asking price? How low can I consider offering for 103 Conklin Cres Cres, Aurora, Ontario? 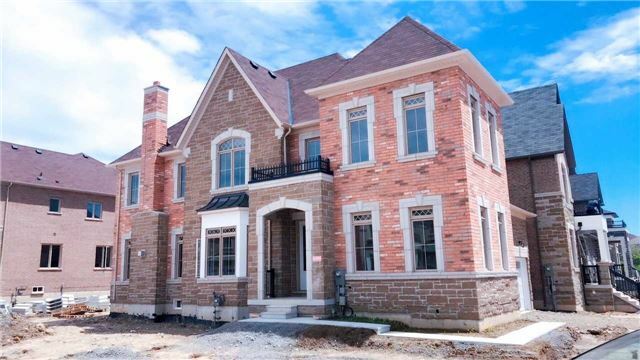 Bright & Spacious Brand New Home Located At Aurora Most Sought After Area. 2855 Sq.Ft. With 4 Bedrooms. Large Corner Unit.Double Master Rooms Upstairs. 9 Feet Ceilings On Main, Hardwood Flooring On Main, Modern Kitchen Including Granite Counters & Center Island; Close To Parks, Green Space, Shopping, Hwy 404, Go Station And More. S/S( Stove, B/I Dishwasher, Fridge), Washer & Dryer, All Existing Light Fixtures & Windows Covering. Tenant To Pay All Utilities Including Hot Water Tank Rental. Lawn Maintenance & Snow Removal By Tenant. Non-Smokers & No Pets.